There are three types of schools on the Island: local Spanish, Private English, and Private International. – You want your children to obtain qualifications relevant to further education on the island / mainland Spain. This is pronominally Spanish pupils having an English education. The school is small and the class sizes are small and teaching is personally geared towards each pupil. There is a school uniform at this school. This mainly English pupils getting an English education. The standard is quite high and aimed at getting pupils into higher (University) education. It is a large school. There is no uniform. The school is quite focussed on sport and has several teams that complete with other schools around the Canaries. This is a trilingual school (English, Spanish and German). It has a uniform. It opened in 2007. It has a different approach to the other schools in that the teachers rotate, and the children stay in the same classroom, the lessons are taught in a rotation of the 3 languages. It is part of a group of school in the Canaries Islands. There is a school uniform. Classes are held in Spanish and in English. There is a lot of after school activities on offer. You need to prove you live in the local area (by showing your Empadronmiento certificate). There are some forms to fill in and paperwork that the school will want to have copies of (passports, medical records (especially vaccination records), passport photos (Spanish size), and birth certificates). They will also ask for your previous years tax return, but if you are new to the island you won’t have one, so they will accept your children and wait for this to be supplied later. You may need to supply a certificate from the Island Tax Office stating you haven’t earned on the island in the previous year. They will also usually wait for your social security number as you need a job with a contract to get one. If your local school has no places in your child’s year, then you will offered a place at the next nearest school with space. Most of the local schools do not require a uniform, but some have an optional one. Text and exercise books are expected to be purchased by the parents at the beginning of each school year (September). They take a snack for the morning break, and lunch is eaten at home. If you live more than 3Km from the nearest school your child is entitled to a free place on the school bus (subject to availability) which has certain pick up and drop off points in the area. 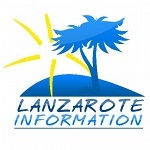 More information about relocating to Lanzarote.